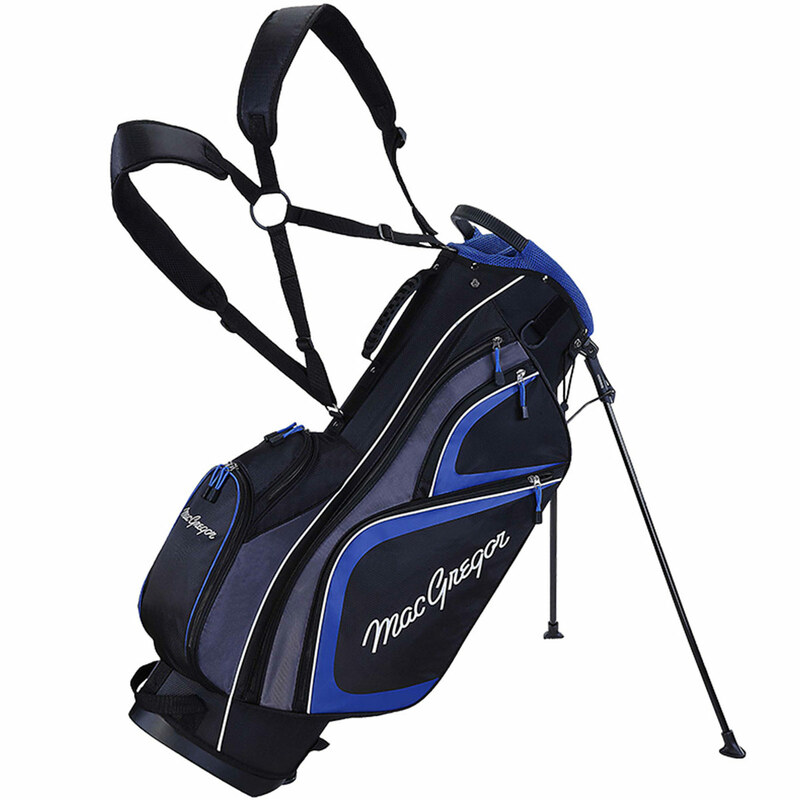 With this stand bag from Macgregor you have all the space needed to carry your clubs with you. 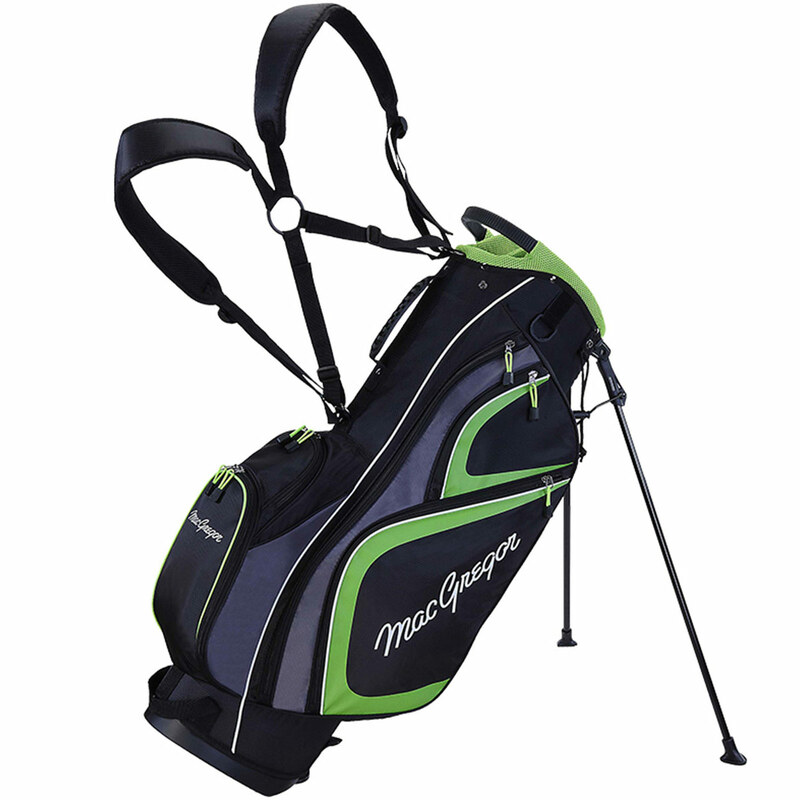 The amazingly comfy bag has a 7-way top with three full length dividers giving you the perfect amount of space for your set. The colour coordinated air mesh fabric helps to keep you organised. 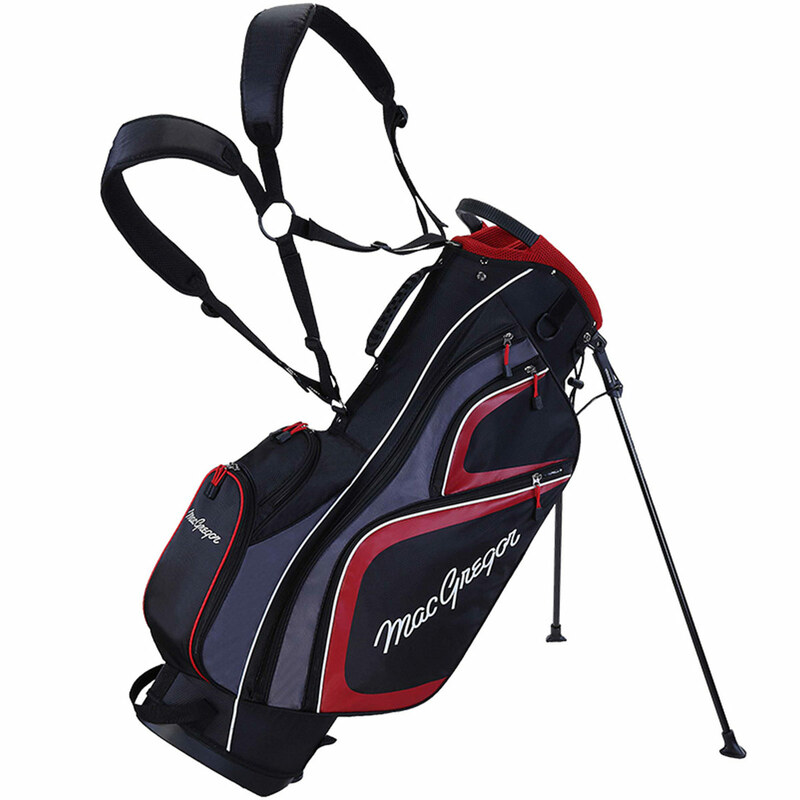 The comfort is provided from the dual padded crossbow shoulder straps and the thick cushioning on the hip. With 8 pockets in total you aren’t short of places to put your items. 6 zippered pockets including a fur lined valuables pocket, clothing pocket, ball pocket and two open topped pockets for a water bottle and your scorecard holder.